Center Circle will be having holiday from February 5th to 14th. We would like to remind you the last order will be take on/before February 25th. Orders later than February 25th will be delivered after holiday. In year of 2016, Center Circle will continue manufacturing high quality knitting machine parts. With continuous research and develop, we will develop new materials which make sinkers having longer life span and better performance. 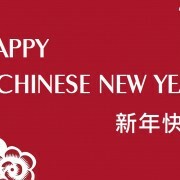 All of our staffs would like to wish you happy Chinese new year in advance. Thank you very much for your strong support and cooperation. http://www.center-circle.com.tw/wp-content/uploads/2016/01/1453266286.jpg 775 1920 kanyongwei /wp-content/uploads/2015/05/CCI-LOGO-3.png kanyongwei2016-01-22 16:12:492016-02-15 08:18:38【Greeting】Happy Chinese New Year!